Breakfast boosts the metabolism, increases memory and focus, and provides a solid foundation for a busy morning. For kids, it’s even more important. Kids who don’t eat breakfast are more likely to be tired, irritable, and unable to focus. Studies also show that kids who don’t eat a good breakfast in the morning are more likely to eat junk food, overeat in the afternoon, and are often overweight. 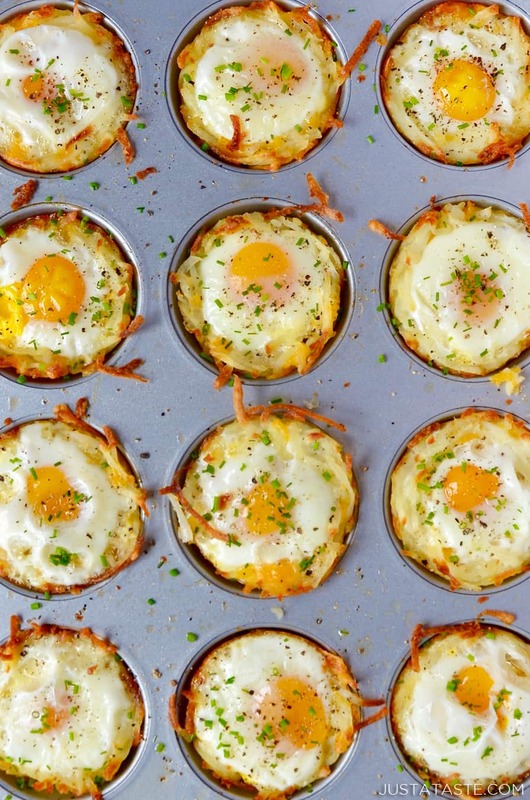 Breakfast doesn’t have to be a big ordeal. I have found that a bit of preparation on the weekends, either by cooking or purchasing ready-made items, helps me provide my kids with healthy, nutritious choices that are both quick and portable. These little guys are quite popular and come in every flavor combination you can imagine. They can also be gluten-free, vegan, nut-free, or paleo. I have started making my own and keeping them in the house because my children like to graze. But these are great for fast, out-the-door meals as well. Add a banana and milk for a very good start to the day. Most of these energy bites contain a protein, oatmeal, and a dried fruit or nut of some kind. 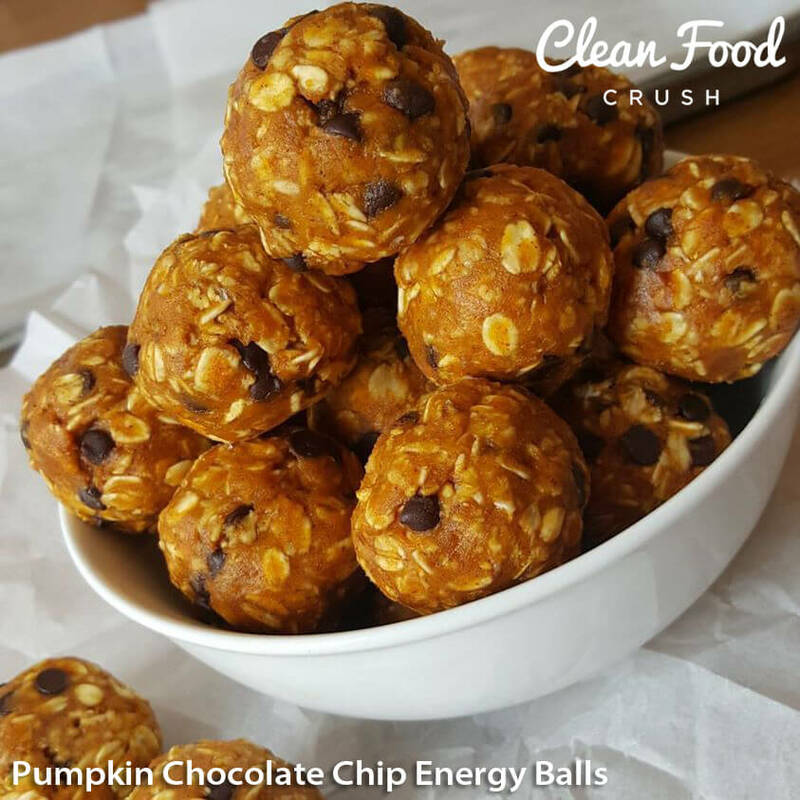 My kids really like Pumpkin Chocolate Chip Energy Balls. They are no-bake and can be made in minutes with the kids’ help! I have been making banana bread forever because I don’t like to waste food. If your kids are like mine, as soon as a brown spot appears on a banana, it is deemed inedible. Whether its banana, zucchini, or pumpkin bread, it is another very tasty and portable food that can be eaten on-the-go. I try to make banana bread a bit more nutritious by using whole wheat flour, swapping half of the oil with applesauce, and cutting the sugar requirement in half. One of my children likes to put cream cheese on it, which adds a few more morning calories. But who says you have to make the muffins or banana bread? Fresh-baked goods and healthy gluten-free frozen options are readily available in most grocery stores. Smoothies are fast, versatile, nutritious, and yummy. Another fabulous use for those brown bananas is to put them in the freezer and use them for smoothies. With so many variations of fruits, proteins, liquids, and even greens, the flavor combinations are endless. EasyHealthySmoothie.com has so many smoothie recipes, you’ll find it hard to choose which one to try first. Overnight oats are a blend of rolled oats, a liquid, and a sweetener of your choice, although a sweetener is optional. The rest is pure genius. By layering oats, regular or almond milk, Greek yogurt, and fresh or frozen berries in a container at night before bed, you wake up with a fantastic breakfast ready to run out the door with. This is my favorite for sure. I take it to work almost every day. 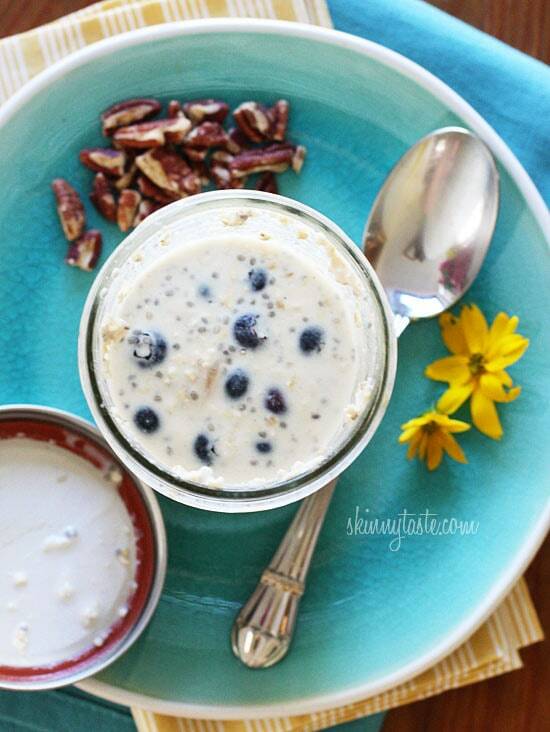 SkinnyTaste.com has a great recipe for overnight oats. But there are many variations and options. The truth is we can make it and hand it to them, but we can only hope they actually eat it. And even though cereal and toaster tarts are always readily available and well-liked by kids, the sugar content is just too high. So, best of luck out there moms and dads; and here’s to another amazing school year.